This is our new Mare series which means Sea or Ocean in Italian and we think the swirls of aventurina look like the waves breaking. It features multi colors layered in our proprietary color designs with 24kt Gold encased in the transparent Moretti colors. 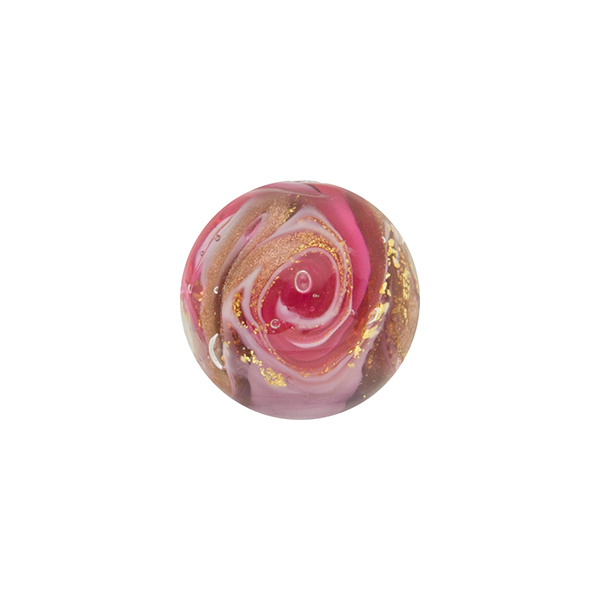 The size is a 12mm Round in Amethyst and Pink (Rubino).